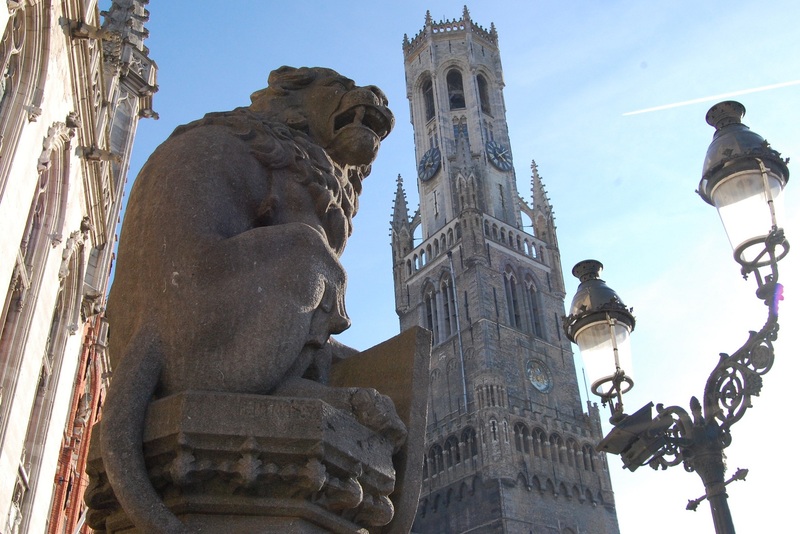 I climbed back onto the train to Brussels wishing I had leanred a little something about Bruges. I had spent the day there and knew only one thing more than when I arrived: Bruges has some pretty awesome canals. Well, I suppose that isn’t entirely true; I did learn a couple of other things worth noting. We left Brussels by train early in the morning so we could get to Bruges and have enough time to look around and get a good feel for the city. The day was warm and the sun was shining high. It was the perfect day to spend strolling through what some describe as Europe’s most beautiful city. I was part of a group of journalists on a fellowship to Europe through the RIAS Berlin Kommission. 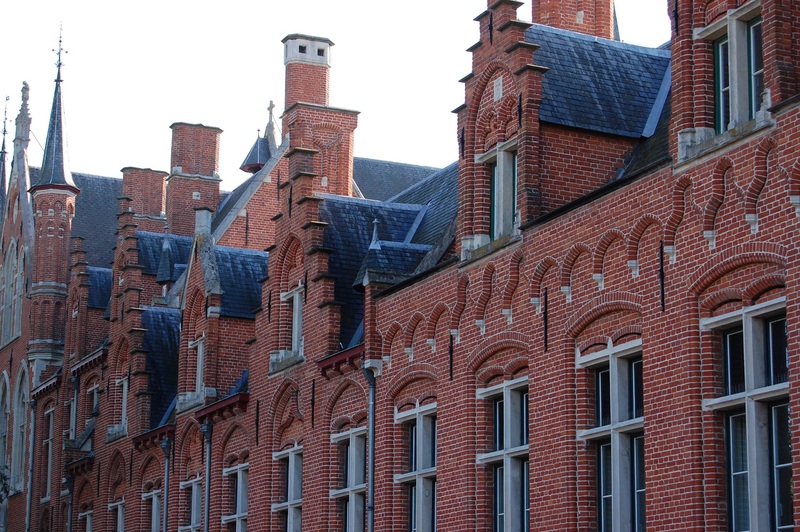 It was our final day abroad and we were spending it having a little fun touring Bruges, Belgium, a town now known for its scenic canals, beautiful architecture, and a Micaelangelo I never knew existed until I bought a ticket to see it. The marble Madonna of Bruges is a small sculpture located in the Church of Our Lady. 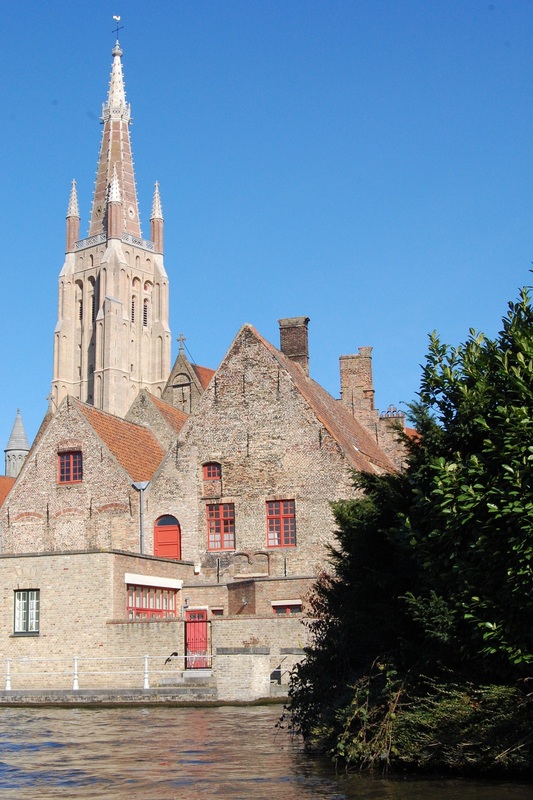 The church is the tallest structure in Bruges and was built as early as the thirteenth century. And while its masterpiece is impressive to behold, it is a disappointment that it cannot be photographed. It is possible to take photos in other parts of the church, but a security guard stands by the Madonna to prevent people from damaging the post card sales in the gift shop. I left impressed by the artwork, but felt no strong sense of appreciation for its existence. After all, I didn’t even know about it until I arrived in Bruges less than an hour before. And besides, after seeing more of the city, I had a lot more w ith which to be impressed. 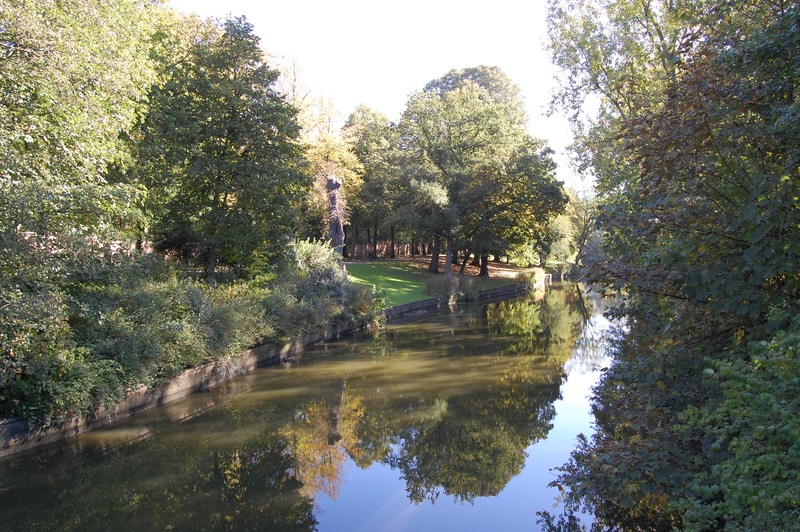 The banks of the canals were blanketed in the day’s sun. It reflected off the water, creating an interesting mirroring effect with the buildings and trees which lined the city streets. And as our group took a boat ride through the canals of Bruges, I realized I wasn’t lsitening to a word our tour guide was saying. He expounded on the great history of Bruges and the UNESCO World Heritage Site city center, but I was not taking in a lick of information. I was instead too busy photographing everything within site. The “Venice of the North” was a stunningly beautiful city, the likes of which I had not seen since visiting Strasbourg, France twelve years prior on another RIAS fellowship trip. The line to take the canal cruise was long and agonizing, but worth the wait. The same is true of the cramped conditions on the boat which I squeezed my large frame and long legs into; it wasn’t comfortable, but worth the annoyance. 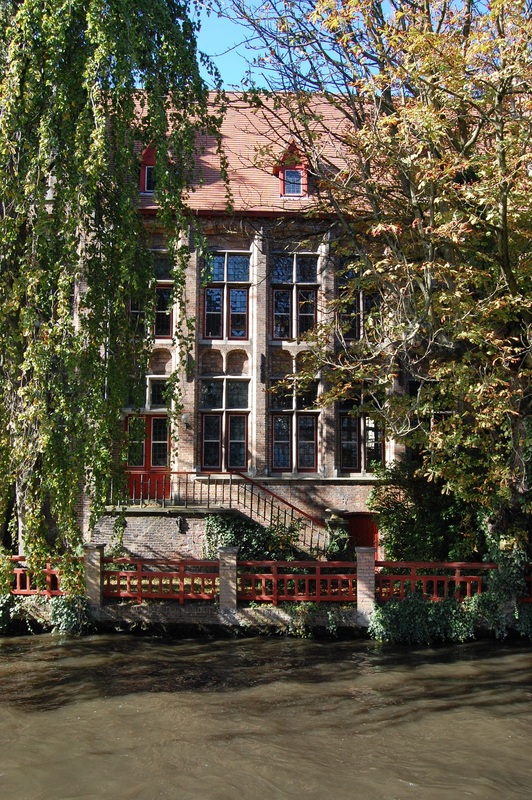 And I would go through it all again to see the beautiful city of Bruges from the maze of canals. 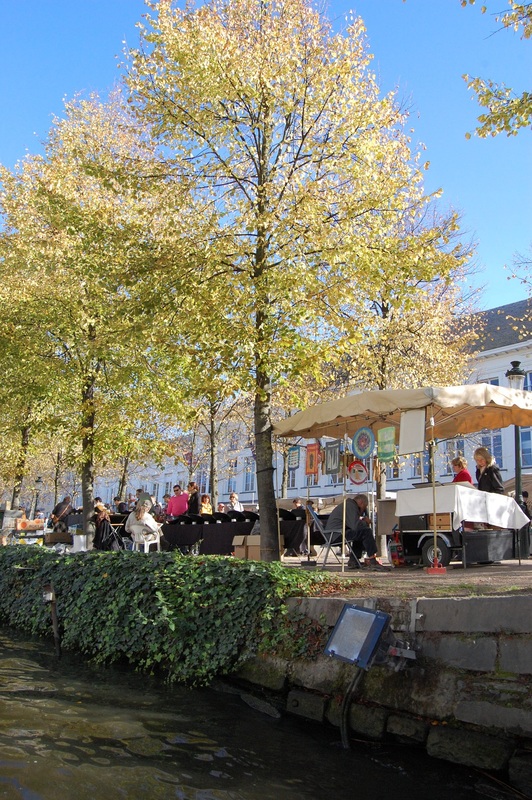 A few of us noticed a small weekend market along the canal’s banks near the end of our cruise. So without delay after disembarkation, we hopped across the bridge and swung around the corner from where we set off on our tour of the market. 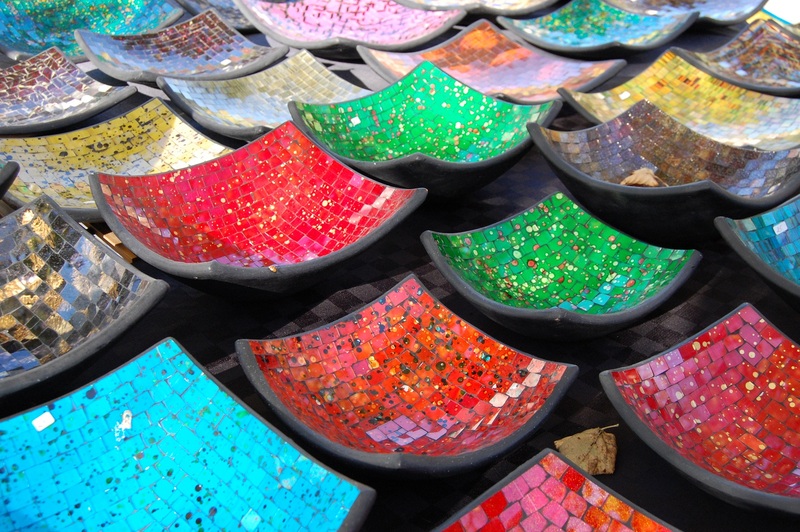 The stalls were lined with handmade wares and junk that would only seem at home in an American flea market. Still, it held a charm that would not have existed in any other place. 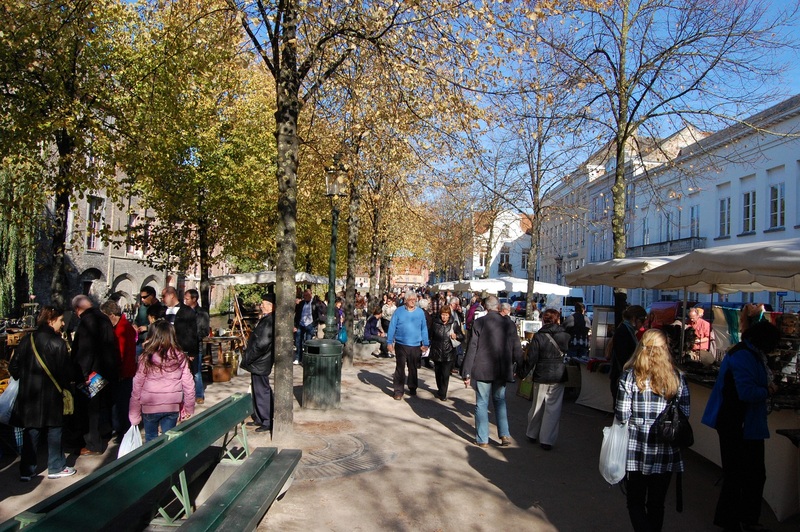 The charm of Bruges and the atmosphere of the market came together to create a momeent when I knew there was no other place I would rather be. Sadly time was not on our side. This was simply a day trip to Bruges, after all. And so, as we were instructed, all of our splintered groups gathered in the magnificent city center to sigh at the beauty of Bruges one last time. It was a city that meant so much to me in so little time, since I know it will hold so many important memories for me in the future. I ran through them all in my head, the return trips I would make to the city to see and experience more of all of the great treasures in had to offer. Sitting on the train, loooking at the Belgian countryside zip by, I knew I had learned more than I initially supposed. There was a fantastic city that deserves well more than an afternoon’s worth of exploration; Michelangelo, a World Heritage Site, and buzzing markets and shops are only a few of the things to see. I could tell there was much more, though, than that without ever actually seeing it.